Other Products by Musashi. Search other Amino Acids products. 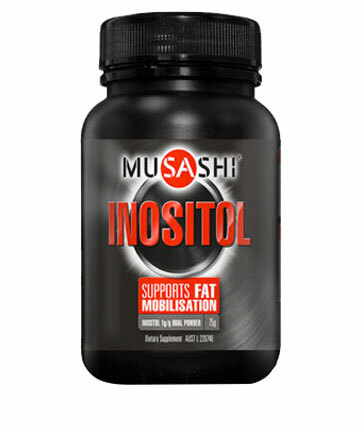 Inositol is found in large amounts in the brain, heart and skeletal muscles. It is a lipotropic agent which mobilises fat in the liver caused by metabolic imbalance. Inositol is important for the metabolism of fat and cholesterol as well as the formation of lecithin, an important lipid which enables fats including cholesterol to be dispersed in water to assist removal from the body. Inositol has a calming effect and research has shown that high dose Inositol may assist in the treatment of depression, anxiety disorders and obsessive compulsive disorder. Inositol is also a vital nutrient for hair growth. Take 1 level 5ml metric teaspoon twice daily before meals. 1 level 5ml metric teaspoon = 2.3g (2300mg). 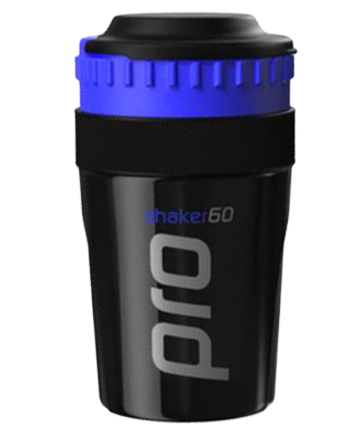 Assist in the metabolism of fat and cholesterol; mobilise fat deposits in the liver; promote energy production; assist with hair growth. Individuals suffering arteriosclerosis (fat build up in the arteries); assisting in the treatment of fatty liver; assisting in the treatment of high cholesterol levels (Hyperlipidaemia); assisting those suffering irritability or mood swings.